Warrington Borough Council know fuel poverty is a big issue for their communities. 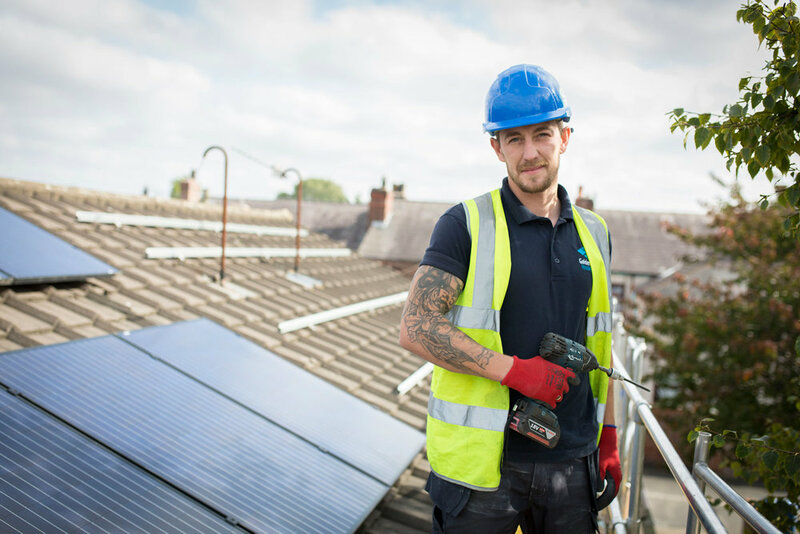 So they’re using solar solutions to make a difference - cutting residents bills while creating jobs and apprenticeships in the local area. Benefits Cheaper bills for council tenants, apprenticeships and local jobs. They’ve installed solar on 2,000 homes, as well as sheltered housing for elderly people. And they work with local community energy groups to reach the buildings they cant. Each householder saves around £145 a year on their bills, while the steady stream of work has made it possible for their partners - Golden Gates Housing - to create jobs and apprenticeships for local people. The Warrington solar project is so standout it caught the attention of the Mirror who gave it a full spread story. — Anthony Whelan, electrician with Golden Gates Housing after a four year apprenticeship. Older PostWhen it comes to climate hope, the UK is a divided nation.